Greetings fellow genealogists and family history enthusiasts! This year the WA State Genealogy Society Annual Awards Ceremony will be held in conjunction with the Clark County Genealogical Society Conference. It looks to be a great program, a great speaker and lots of fun activities. If you have not already made plans to go, please consider attending. Events run May 25-27th, with the Conference on the 26th. Registration forms are available on the website, www.ccgs-wa.org . Below is more info provided by Clark Co Gen Soc. During an event filled weekend, our Saturday seminar key speaker will be David Allen Lambert. 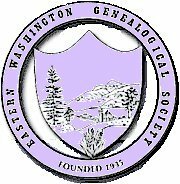 Serving as chief genealogist for the venerable New England Historic Genealogical Society (NEHGS), David’s seminar topics include 1) World War 1 Military 2) Great Migration Era settler research 3) Probate & Deed Records research. As an honored guest at our Hudson Bay Company Gala ReceptionFriday evening, he will be able to share his genealogical gems; seemingly small finds that lead to amazing stories. We are collaborating with Friends of Fort Vancouver to bring some of the wonderful Fort interpreters as guests. A guided Cemetery Tour is proposed for Sunday along with brochures for other local self-guided tours, all available from the CCGS Library. 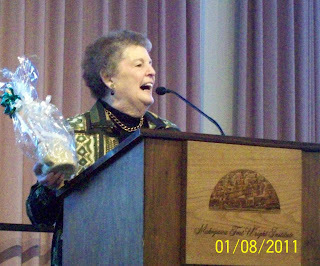 Timeless program on NBC tonight at 10 pm here in Spokane will have a program on WWII and Marie Curie. The show centers around a group of time travelers. And, what family historian do you know that doesn’t wish they could travel back in time to the places their ancestors lived? Happy Birthday Doris Woodward. When I first started doing research for EWGS, Doris asked me to write about any interesting lookups I had did, and she promised she would edit them to look good in the Bulletin. Thanks Doris you made me look good. A few years later I got an E-Mail from Family Search to help update the Family Search Resource Guide for the State of Washington. I sent an E-Mail to the board and the only one that answered was Doris, and so we did a letter back to Family Search with what we thought was important that should be in the Washington State Resource Guide, and they did put many of our suggestions in that Resource Guide. Since then it was put in the Family Search Wiki for Washington state.